Existing BML client Safe & Vault wanted to expand the reach of their ATM security services. Their previous set-up meant that this service was buried in their predominately safe and security-based retail website. 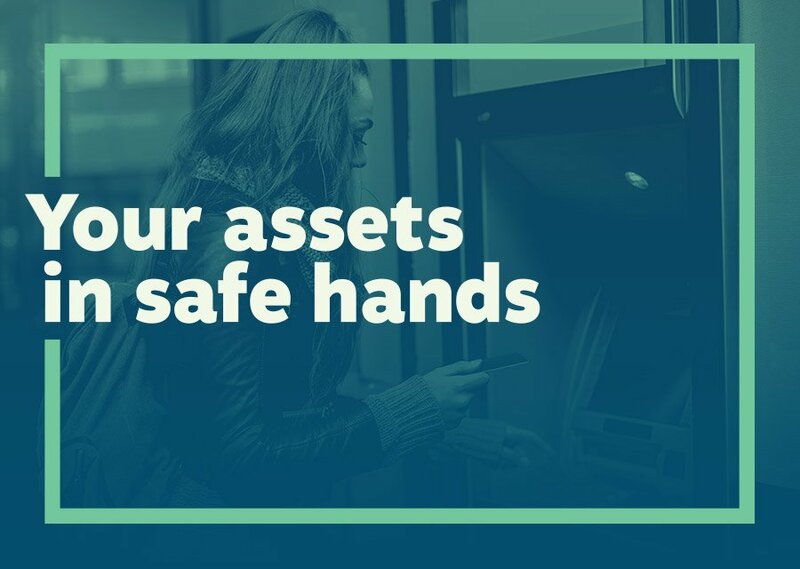 By separating this arm of the business under a new name – ATM Safe – this allowed the business to communicate the unique benefits of this offering with clarity. The core offering of ATM Safe is security products and services, which help protect ATMs from attack. The branding had to appear established, trustworthy and confident to appeal to their core target market of large banking groups. The main feature of the branding is a ‘protective barrier’ which is used to frame information and act as a sign of strength. This flexible graphic device is applied across a range of marketing material and is an instantly identifiable feature. A limited colour palette of navy and green is authoritative yet personal. 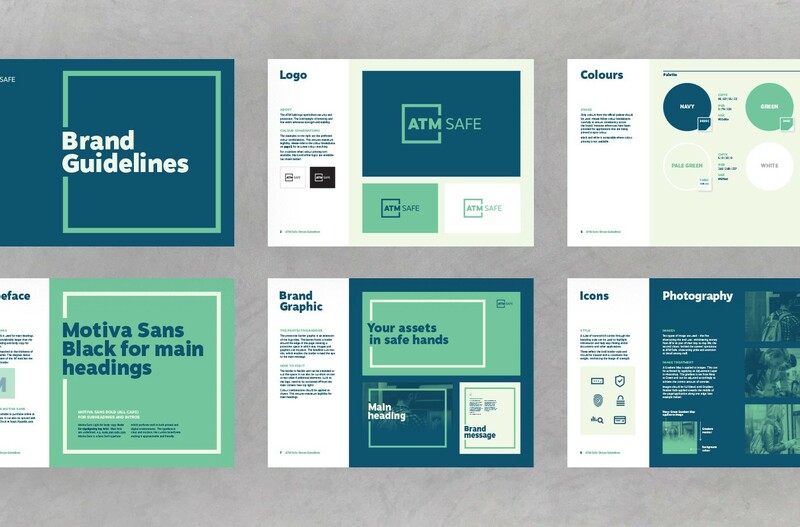 This combined with duotone imagery and bold headings give the brand a contemporary feel. The branding had to appear established, trustworthy and confident to appeal to their core target market of large banking groups. 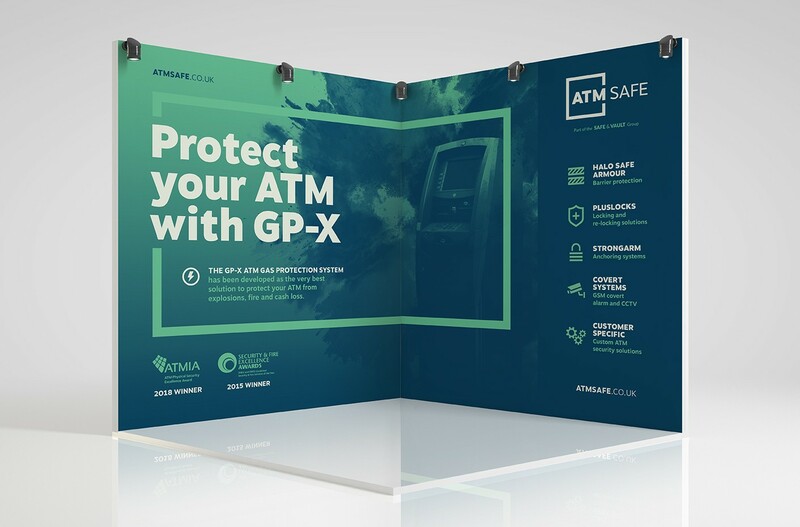 ATM Safe launched with two major exhibitions in Madrid and London. For this, they required two bespoke exhibition stands which showcased their gas protection system and clearly showcased their other main services. An exhibition brochure was also produced which used contrasting uncoated and silk paper. This combined with a short cover gave the booklet a premium and eye-catching look. A full suite of corporate stationery was produced on a powder green stock, tying it into the brand colour palette. 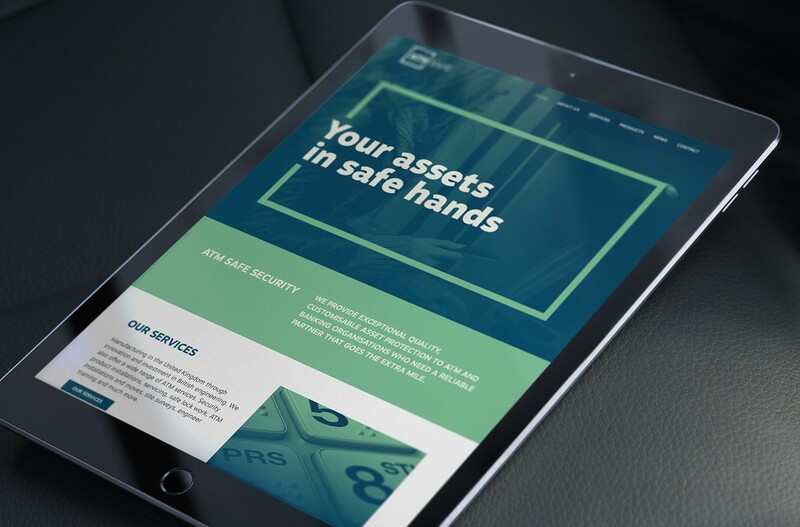 To underpin everything, a new website was launched utilising the same bold, graphic style. 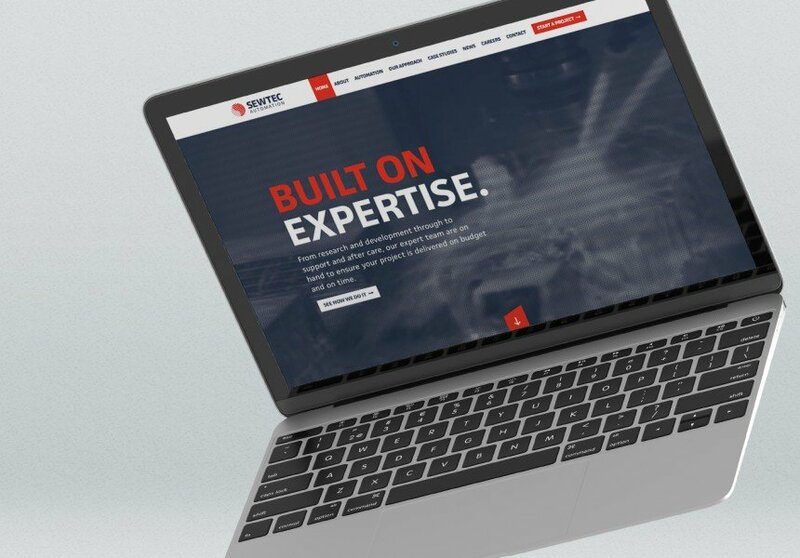 The ATM Safe brand has been very well received by prospective clients and has helped to establish our status as a leading player in the market. After only three months of launching the new brand, we have already opened a number of extremely positive conversations to expand our customer base, including a partnership opportunity with a potential link to more than 40 European countries. Although early days, these are great indicators that we’re on the right track and the new brand has helped us to get there.